Stripping wallpaper is a chore. But usually it is ugly wallpaper and it just needs to be done. Hot water can do the trick, but obtaining a regular supply of the hot water can in some circumstances be difficult (particularly if the power has been been turned off whilst renovations occur). Also if the wall paper has been painted over it can be resistant to the water. Also if the wallpaper is very old some of the old (pre 1970’s) adhesives don’t loosen with hot water the way the modern ones do. And sometimes the job just seems like it should be easier. Well it can be with Xtreme Clean! Xtreme Clean makes stripping wall paper a breeze. Simply spray the wallpaper with a mix of Xtreme Clean at a 1:10 mix (one part Xtreme Clean to 10 parts water – this ratio assumes you are doing this in the heat of summer, if not you may want to make your mix up slightly stronger). Give the wall paper a good spray and go for it. The wall paper will peal off easy as! Just another use for Xtreme Clean, the orange peel extract in Xtreme Clean reacts with the adhesive in the wallpaper glue and dissolves it making it easy to scrape away. Xtreme Clean is New Zealand’s strongest citrus cleaner and for this reason it is the best citrus cleaner for stripping walls. This entry was posted in Tips, Xtreme Clean and tagged paint, Xtreme Clean. XClean Miraculous Mineral Mover Has Arrived! It all started with an idea. Over fifteen years ago there was this idea, that cleaning should be easy, without the need for more and more nasty chemicals. 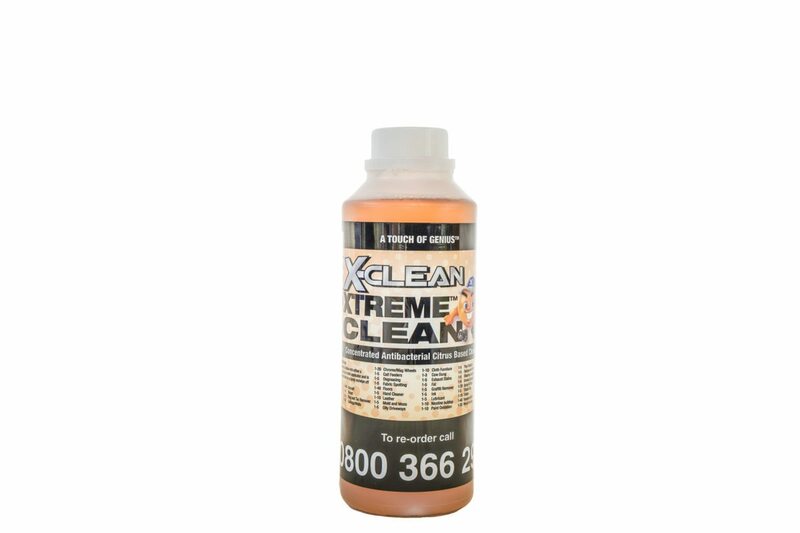 Out of this idea and much testing was born the first XClean product – Xtreme Clean. It’s time to spring clean! XClean is a New Zealand company. We've been in business for over fifteen years providing excellent cleaning solutions to fellow Kiwis. Keep up to date with promotional offers and neat tips and tricks.